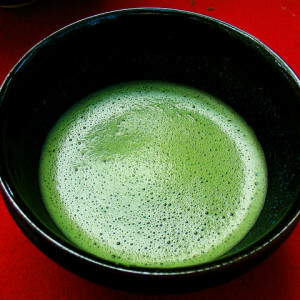 That smell of fresh brew wafting over Kiyosumi Garden heralds the entrance of a major new player in Tokyo’s cafe scene. 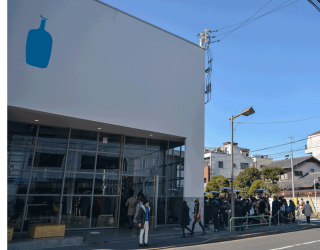 Blue Bottle Coffee is an Oakland-based company that has developed a strong following among coffee cognoscenti in San Francisco, Los Angeles, and New York—and is a firm with long-standing connections to Japan. 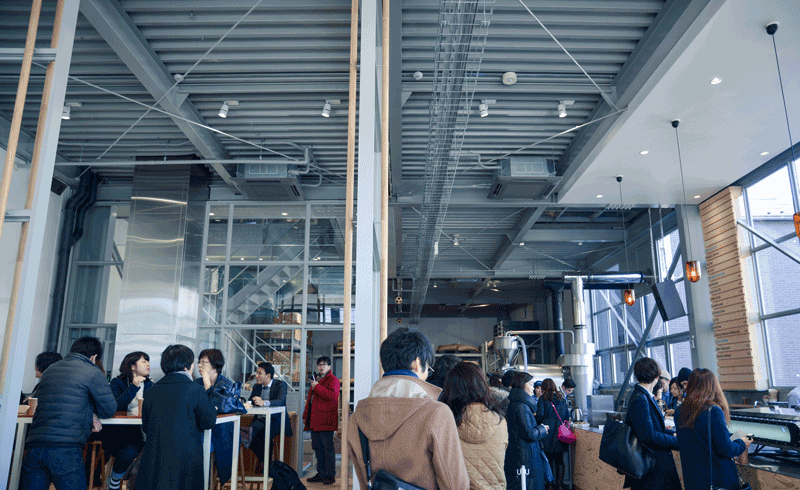 The 7000 square-foot flagship building, 10 minutes’ walk from Kiyosumi-Shirakawa Station, hosts an airy, spacious interior that holds the coffee bar and the roastery beyond. The roaster is a giant Loring SmartRoast machine that can handle 35 kg of beans at a time. 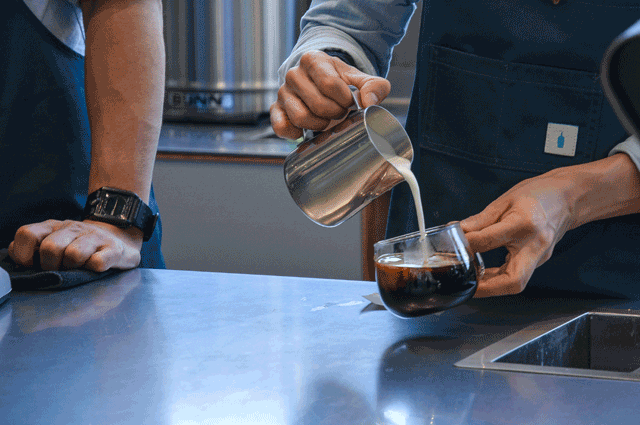 There is also a glass-enclosed cupping room, used for tasting sessions where customers can learn more about the Blue Bottle production process. The food menu is kept a closely guarded secret, but it’s created by pastry expert Caitlin Freeman, and you should be able to find their trademark waffles, shortbreads, snickerdoodles, cookies, and biscotti pizzetta—as well as some surprises exclusive to the Tokyo branch. This is not a franchising agreement; rather it’s a venture completely funded and managed by the American head office, to guarantee the visitor gets the authentic BB experience—down to the minimal interior aesthetic, and the caps and plaid shirts worn by the staff. 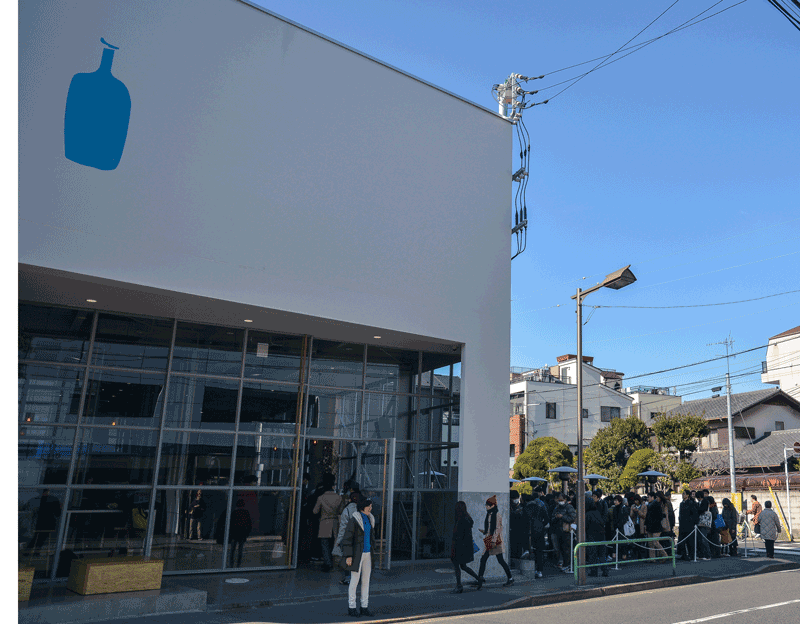 Following quickly on the heels of the Koto-ku flagship, Blue Bottle’s Aoyama cafe opened on March 7, and a Blue Bottle kiosk will be included in the Tartine Bakery’s Daikanyama building, which is currently under construction. One word of warning: there are currently long lines of customers waiting to enter both cafes, so be prepared to spend close to an hour in the queue.